It's the final North American Nintendo Download Update before the Holidays / Christmas, and it has some enticing games on offer. As is now the norm the Switch has a significant number of intriguing titles, and the 3DS also joins in with some tempting options of its own this week. Let's get to it! 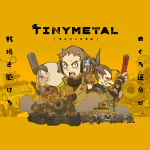 TINY METAL (Unties, $24.99USD) - A title that does nothing to hide its attempt to fill the gap left by franchises such as Advance Wars, it offers stylish turn-based strategy allied to modern weapons and warfare along with a bombastic storyline. We were rather impressed with it in our TINY METAL review. 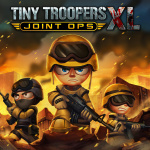 Tiny Troopers Joint Ops XL (Wired Productions, $12.99USD) - On the surface this looks like a modern-day reimagining of Cannon Fodder, with an isometric overhead view as you lead your tiny troopers into battle. It looks rather charming and promises various challenges and soldier classes; we'll head into battle and let you know what we think in a review. 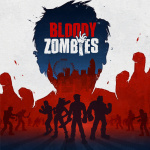 Bloody Zombies (nDreams, $14.99USD) - A brawler that previous arrived in VR form, it's now been adapted to suit the Switch. 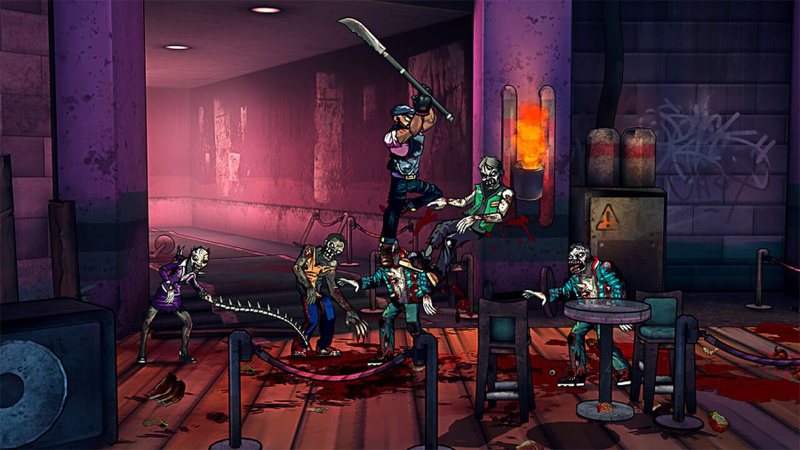 It aims to server up 'freeform' combat within beat 'em up gameplay, as you go through London knocking the snot out of a variety of zombies; it also supports local and online co-op for up to four players. We'll get into a review, but in the meantime you can learn more about it from our interview with nDreams. 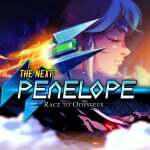 The Next Penelope (Aurélien Regard, $12.99USD) - Previously planned for Wii U, this is a half racer, half shooter and features some massive boss battles which - once complete - give you additional weapons to use. It's a stylish modernised take on Greek mythology that we rather enjoyed in our review. Blossom Tales: The Sleeping King (FDG Entertainment, $14.99USD) - As Lily, Knight of the Rose, you must go on a quest to save the Kingdom of Blossom from eternal darkness, collecting a host of weapons, spells, and more along the way. It has a top-down adventure approach that brings 16-bit Legend of Zelda experiences to mind; we'll see how it stacks up in a review. 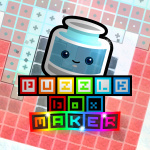 Puzzle Box Maker (Bplus, $14.99USD) - An interesting arrival as it provides some basic tools for creating your own game stages, on which you can then try out an assortment of minigames. It has plenty of pre-set levels too, and does a solid job of providing accessible level creation. We gave it a recommendation in our Puzzle Box Maker review. 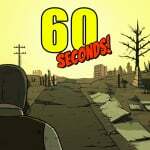 60 Seconds! (Robot Gentleman, $9.99USD) - Released on PC a little while ago, this has the premise of trying to gather supplies in 60 seconds before surviving for a long time in the fallout shelter. It seems to have some rather dark humour (unsurprisingly) and could certainly be a rather intriguing title on the system. 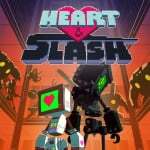 Heart&Slash (BadLand Games, $14.99USD) - This brawler is treated as a roguelike, so each run throws up different stage designs and weapon pick-ups. What's particularly neat is that there are "up to 75 different weapons and 60 different robot body parts", which all affect how you fight and play. In theory that should keep things very interesting, and we'll try it out in a review. Available from 22nd December. 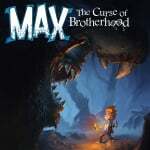 Max: The Curse of Brotherhood (Stage Clear Studios, $14.99USD) - Originally released in 2014, this is a clever puzzle platformer in which a coloured 'magic marker' allows for various abilities. We'll see if it ain't heavy in a review. 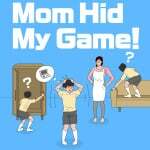 Mom Hid My Game! (KEMCO, $4.99USD) - Previously released on mobile, this is a simple and rather quirky puzzle game in which you attempt to find and retrieve your GBA / DS hybrid on each screen. It's a charming title that can raise a smile, albeit its limitations meant we only gave it a limited recommendation in our review. 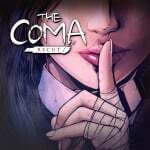 The Coma: Recut (Digerati, $19.99USD) - A manhwa-styled Korean survival horror, this is a remaster of the "indie cult classic" The Coma: Cutting Class, in which you have to survive and escape in a twisted version of High School. We'll face the horror and bring you a review soon. 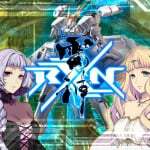 RXN -Raijin- (KAYAC, $38.00USD) - Developed by Gulti, this is a vertically scrolling shooter that evidently goes big on its story, with three playable characters. One of the key selling points is that it's a 'wide-screen' shooter, designed to fill the entire width of the Switch screen. We'll try it out in a review. 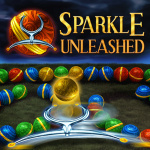 Sparkle Unleashed (10tons, $7.99USD) - The second in this series to arrive on the Switch, it's a match-3 marble shooter; it promises 23 power-ups, 108 levels and a survival mode. Available from 25th December. 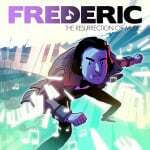 Frederic: Resurrection of Music (Forever Entertainment S. A., $5.99) — Previously released on PC, smart device platforms and Wii U, this is a music adventure game that certainly has an intriguing style, aiming to blend humour and classical music. We quite liked the basic idea but bemoaned technical issues in our review of the Wii U version, so we'll see whether this Switch iteration solves those problems. FruitFall Crush (System 3 Software, $5.99USD) - A puzzle game in which you re-arrange fruit to match up within various shapes and confined stages. It has 75 stages and local multiplayer - we'll see where it's a tasty download in a review. 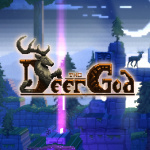 The Deer God (Level 77, $7.99USD) - A title we also saw on Wii U, this is a heavily stylised adventure that aims to deliver a positive storyline. The potential is undoubtedly there, but we were left disappointed with the end result in our The Deer God review. Tactical Mind (QubicGames, $2.99USD) - It looks rather crude, but this tactical board game (that seems to be a blend of checkers and chess) may have some appeal in its gameplay and strategy. It has a single player campaign and 14 different maps for multiplayer. Energy Cycle (Evgeniy Kolpakov, $3.00USD) - Rather simple visually, this is all about changing cell colours to force matches, though every time you change a cell it also affects those around it. 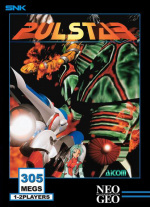 Pulstar (HAMSTER, $7.99USD) - This 1995 arcade release was the first Neo Geo game to feature pre-rendered graphics, the same kind of that were pushing the industry forward one year previously with Donkey Kong Country. Unlike its more hectic sequel, Pulstar is a far more slow-paced shmup, one that requires a different set of skills to tackle: enemy pattern memorization, navigation and the correct choice of weapons for each section are key for smooth sailing on this one. Style Savvy: Styling Star (Nintendo, $39.99USD) - For fans of fashion, modelling or just cutely stylised games about clothes, this series is often hard to resist. This latest entry has some new tricks and styles to show off, and we loved it in our review. Available from 25th December. Picross e8 (Jupiter Corporation, $5.99USD) - This series has been an ever-present on the eShop and consistently provides an enjoyable batch of new puzzles in each release. We shouldn't expect any new bells or whistles here, but it'll be an easy choice for Picross fans. The Legend of Dark Witch 3 - Wisdom and Lunacy (CIRCLE Entertainment, $9.99USD) - An action platformer in the vein of retro Mega Man, this places you in the shoes of series regular Zizou, who returns to Earth to check everything is running smoothly only to discover another witch is running amok. Cue platforming, bullet hell gunfights and plenty of big bosses to take down. TLODW3 is also the first instalment to feature 3D effects. Mom Hid My Game! (KEMCO, $4.99USD) - You can expect pretty much the same game as on the Nintendo Switch, just on a smaller screen. Tiny Metal for me tomorrow. Tiny troopers as well. Need to pick up the FE Warriors DLC as well. Why is everything Tiny? Good lord, I can't keep up with all these releases. Makes me feel bad cause I like supporting the indie developers when I can, but there's just way too much to keep up on. I keep scrolling down through the releases thinking I’m at the end and then there are dozens more. It’s insane. Wasn't VS Super Mario Bros. supposed to come out as well? Or is it only Japan? Too many games. Won't be buying any of them really. Maybe Bloody Zombies but, I doubt it. I like certain Indie titles but, I'm sort of over spending money on them or playing them. I still have Xenoblade, Skyrim and Odyssey to beat. Got FE Warriors coming and with Bayonetta 2 and Payday 2 right around the corner, that's where my focus is looking. I hope for a Nintendo Direct soon too. That should announce what's going on between now and E3. Okay NoA. Why doesn't NA get those discounts EU is getting? Tiny Metal & Max for me. Maybe Bloody Zombies just depends on the game size on the Switch, because I can get it right now on psn for only $8.99 and not have to waste what little switch space that comes with the switch think I have like 22gb's left. Plus I haven't really had my switch that long maybe a month and I still have zelda, mario kart 8 deluxe, and mario odyssey to bet first. Next Penelope, maybe Bloody Zombies and the Dark Witch demo. We get so many games every week now. It's crazy. This is par for the course on PS4, but it's weird to see it happening on a Nintendo system. And a lot of them are really decent, too! I'll hold off for now. I own half of these games on Steam, and I'm only 1/3 or so deep into the absolutely massive Xenoblade Chronicles 2. Where's VS. Super Mario Bros? VS Super Mario Bros is out on the Japan eShop on the 22nd, but I wonder if its not releasing in North America since there is no listing for it like other releases that come later in the week (such as Style Savvy)? Dark Witch 3 for me. I do want Tiny Metal but due to money shortage and time for other Switch games, I'll pass for now. I'm surprised Nintendolife didn't report that Fire Emblem Warriors: DLC Pack #1 Fates have come out last night. Azura is the most interesting character I played as since Tiki. Wow, that's a lot of variety on the 9 month old Switch eShop. And I'm not talking about the games but the prices, $2.99, and even one $3.00 even, all the way up to $38.00, which might be the oddest price I've ever seen on any digital download. Or retail for that matter. And also $24.99 for Tiny Metal which seems a bit high for what I've seen of it, thought $14.99 or $19.99. But I appreciate the variety of prices, something for everyone rather than forcing everything to be either $4.99 or $9.99 like things used to be priced. Don't think I;m getting any of them, my backlog is bulging and it needs to be addressed, but Switch eShop is not a worry for Ntinedo. I'm fairly offended that NOA used this week's eshop PR to plug mobile events and MyNintendo nonsense while ignoring the actual eshop releases. Heart and Slash is awesome though. Nintendo is really going to let people open up a Switch without YouTube or Netflix? I'm shocked. So, i'm wondering about what i'm supposed to pick on the poll when there's a game i'm definitely going to buy, but i don't want to buy it this week. I'm only downloading RXN -Raijin- and Pulstar this week, but i'm 100% percent sure that i'm going to pick up Tiny Metal early next year. Weirdly, I'm not sure the NA PR has all of the games due up to Christmas. I'll keep an eye on the eShop and do some 'out today' posts if any arrive that weren't included in that press release. VS. SMB is out on the 22nd and today in Japan. Accidentally pre-purchased Tiny Troopers thinking it was Tiny Metal, so I hope that game is good. Bought Tiny Metal this morning still. Odd how, in a few weeks we've had games with near identical titles or concepts. Lat week was all manner of dungeon crawler. Crawl and Enter the Gungeon and One more Dungeon. Holy cow! I’m grabbing a good 6-7 games this week on the Switch! My poor wallet!! Yes, that was pretty offensive. The "Also released this week" part of the press releases always makes the game there look pretty insignificant, and that a lot of space was given to things that are REALLY insignificant like random events of phone games and lame my.nintendo rewards makes this problem even worse. I think the reason for RXN -Raijin-'s price looking so odd is that they actually are using the real world currency conversion rate instead of making the game cheaper for the US and more expensive for Europe like game publishers usually do. I actually kind of expected them to (wrongly) convert the price to 35$ in the USA (cheaper then in Japan) and to 35€ in Europe (more expensive then in Japan). I have to say, as a European i applaud RXN's publisher Kajak for this step, i'm really tired of being treated unfairly by game publishers here in Europe. I was telling my girl friend that if she didn't know what to get me for Christmas, get me an Eshop card. She said it was too impersonal. I let her know that there are a bunch of games I have still yet to get that are only on the Eshop, nothing impersonal about that. This week proves my statement once again. Nice of Sony to help out Nintendo filling the Advance Wars gap. For me it's just the shelter survival game 60 Seconds! (definately) and the Korean horror The Coma Recut (maybe). @ThomasBW84 The Fire Emblem Warriors Fates DLC Pack came out yesterday, I didn't see that on here. Nintendo released it without any prior statement as far as I can tell, but I was able to start playing it last night. SAVE YOUR MONEY FOR 12.28.17!!! BRAVE MEN ROAD on the Japanese E-Shop. The only game where I think you fight on a tightrope against business men. I think, as I can't read Japanese. I kinda looks like DOA: Xtreme Beach Volleyball, but with dudes fighting and racing on tightropes and glass boxes that go between the tops of skyscrapers. Tiny Metal perhaps eventually. Pulstar for sure. RXN -Raijin... one day maybe? Just an fyi to anyone that didn't know, Max: The Curse of Brotherhood has a demo you can try. I thought you guys said "Vs Super Mario Bros." was coming out on switch this week? So many great looking games this week, but those prices though. Damn! No Vs Super Mario Bros?? @IceClimbers Is this game any good? I like the look of it but will wait for the review. Looks Zelda like with more rpg? @EmirParkreiner Thanks for the info, that does make sense. Still looks odd, as all prices ending in 00 tend to do, but it does make sense. @zionich lol I know what you mean! I'm focused on the Fire Emblem Warriors DLC that came out today. Many hours to spend! 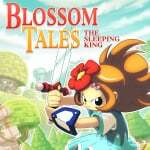 I’ll pick up Blossom Tales soon (good Steam reviews) and probably a game on sale. @Platinumhobo developer said that the game got delay sadly. Early 2018 they said. @ultraraichu what else brings the dlc? @joey302 how many games u have? I have like 55. I am more excited for Wargroove, but Tiny Metal sounds pretty swell to me. Will be picking it up right away. Just picking up Pulstar this week. At this point there are too many eShop games coming out every week. I think they should just drop the Thursday update... Games will be uploaded at any time. We're talking a huge flood here. Switch's popularity is staggering . It's viral. Tony metal and I also fancy Blosso,.. kotaku uk gave it a glowing first glance preview today. Basically a total clone of Zelda but done well. Pulstar today, Vs. SMB tomorrow. 60 seconds down the line. @JJ286 Oboro and Niles is also playable along with support conversations, 3 new skills to learn (Lethality, Counter, & Amaterasu), 3 History maps featuring the new characters, new costumes for the Fates characters with a new weapon attribute to unlock for each of them, and a item that helps speed up the character bonds. 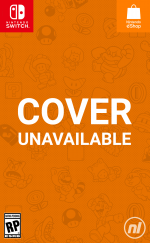 Where's the WIIU eshop update becaue believe it or not there are still games coming out often. Max is amazing. The graphics are amazing. Deaths come often in this puzzle platform. It is great for Kids and Big Kids like myself.Get it. Two more shmups! I would say keep them coming, but it's impossible to not have a backlog just for Switch shmups. RXN -Raijin-, I'm hoping the review blows me away and they have a sale because I'm not spending $38 (what an odd price...) on a digital-only game I know nothing about just as Christmas is approaching, where I'm fated to get games as gifts. VS Super Mario Bros is up for download now. Just sayin. @zionich couldn't agree more. I told all my friends and family my #1 wish for christmas is Nintendo eshop cards. So many great videogames to buy! @ultraraichu wow! Sounds very good, I might give it a look.